Nobel laureate Mario Vargas Llosa’s newest novel, The Discreet Hero, follows two fascinating characters whose lives are destined to intersect: neat, endearing Felícito Yanaqué, a small businessman in Piura, Peru, who finds himself the victim of blackmail; and Ismael Carrera, a successful owner of an insurance company in Lima, who cooks up a plan to avenge himself against the two lazy sons who want him dead. Felícito and Ismael are, each in his own way, quiet, discreet rebels: honorable men trying to seize control of their destinies in a social and political climate where all can seem set in stone, predetermined. They are hardly vigilantes, but each is determined to live according to his own personal ideals and desires—which means forcibly rising above the pettiness of their surroundings. The Discreet Hero is also a chance to revisit some of our favorite players from previous Vargas Llosa novels: Sergeant Lituma, Don Rigoberto, Doña Lucrecia, and Fonchito are all here in a prosperous Peru. Vargas Llosa sketches Piura and Lima vividly—and the cities become not merely physical spaces but realms of the imagination populated by his vivid characters. A novel whose humor and pathos shine through in Edith Grossman’s masterly translation, The Discreet Hero is another remarkable achievement from the finest Latin American novelist at work today. Mario Vargas Llosa was awarded the Nobel Prize in Literature in 2010 “for his cartography of structures of power and his trenchant images of the individual’s resistance, revolt, and defeat.” He has been awarded the Cervantes Prize, the Spanish-speaking world’s most distinguished literary honor. His many works include The Feast of the Goat, The Bad Girl, and Aunt Julia and the Scriptwriter. One of our most celebrated translators of literature in Spanish, Edith Grossman has translated the works of the Nobel laureates Mario Vargas Llosa and Gabriel García Márquez, among others. Her version of Miguel de Cervantes’s Don Quixote is considered the finest translation of the Spanish masterpiece in the English language. This study explores how five major directors -- Pedro Almodóvar, Alejandro Amenábar, Alex de la Iglesia, Guillermo del Toro, and Juan José Campanella -- modeled their early careers on Hitchcock and his film aesthetics. In shadowing Hitchcock, their works embraced the global aspirations his movies epitomize. Each section of the book begins with an extensive study, based on newspaper accounts, of the original reception of Hitchcock's movies in either Spain or Latin America and how local preferences for genre, glamour, moral issues, and humor affected their success. 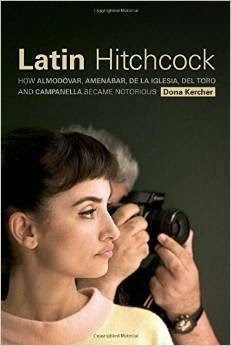 The text brings a new approach to world film history, showcasing both the commercial and artistic importance of Hitchcock in Spain and Latin America. Dona Kercher is professor of Spanish and film and director of the women's studies program at Assumption College in Worcester, Massachusetts. A native of Haiti, Dimitry Elias Léger makes his remarkable debut with this story of romance, politics, and religion that traces the fates of three lovers in Port-au-Prince, Haiti, and the challenges they face readjusting to life after an earthquake devastates their city. Reflecting the chaos of disaster and its aftermath, God Loves Haiti switches between time periods and locations, yet always moves closer to solving the driving mystery at its center: Will the artist Natasha Robert reunite with her one true love, the injured Alain Destiné, and live happily ever after? Warm and constantly surprising, told in the incandescent style of José Saramago and Roberto Bolaño, and reminiscent of Gabriel García Márquez’s hauntingly beautiful Love In The Time of Cholera, God Loves Haiti is an homage to a lost time and city, and the people who embody it. 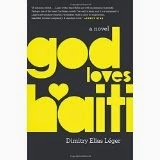 Dimitry Elias Léger was born in Port-au-Prince, Haiti and raised there and in Brooklyn. Educated at St. John’s University and Harvard’s Kennedy School of Government, he has worked as an advisor to United Nations agencies. He has also been a staff writer at Fortune, the Miami Herald, and The Source Magazine, and his work has appeared in the New York Times, Rolling Stone, and Newsweek, and other publications. He lives in Brooklyn and near Evian, France.